The wine industry is a competitive market. 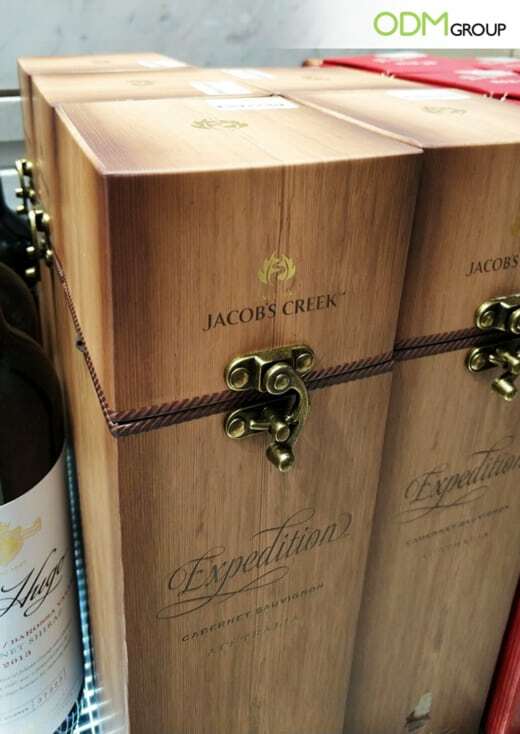 To grab the attention of your customers from the get-go, it is important to have remarkable custom wine packaging. 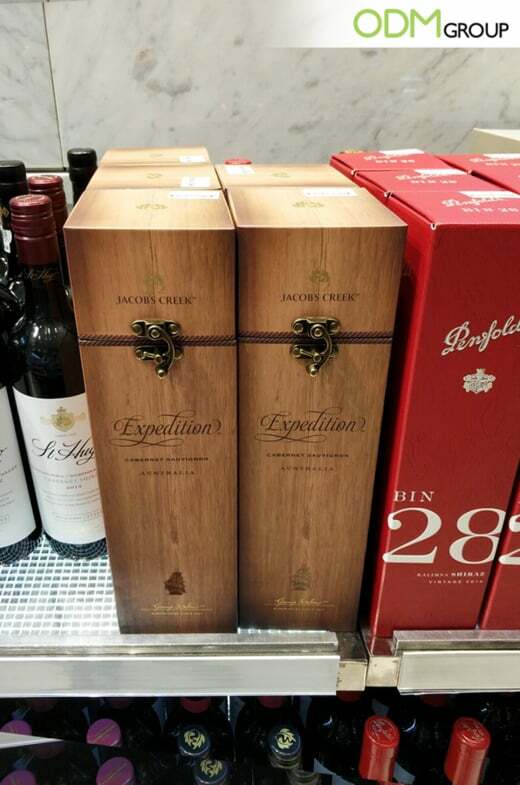 In the picture below, wine brand, Jacob’s Creek has made some interesting custom wine packaging. Clearly, this wine packaging sets its brand apart from other wine products on the shelf. Versatility: The unique and versatile packaging looks attractive and it makes the product a perfect gift idea. Customization: The customers are more likely to buy the product if the products are customized. In our example, the wine packaging give off a vintage feel which further attracts high-end clients. Brand Awareness: Through such packaging, the perceived value of the brand increases. As a result, it makes it easier for customers to remember your brand. Boosts Sales: Customers are likely to remain loyal to the brand and sales increase when they receive such premium products. In addition to this, the clasp of the packaging has a very neat and detailed design and the wooden colour gave it a wine barrel feel. Furthermore, this is an excellent brand recall strategy. This customized packaging increases brand recognition even more. As a result, the product becomes more appealing and valuable to customers. In conclusion, this design, and packaging is definitely one of the best wine packaging solutions we have seen yet. Here at ODM, we can help you with design, product customization, and sourcing. Contact our design team Mindsparkz for a product brainstorming session. Take a look at some of the services we offer as well. We also have case studies about current marketing trends and promotional product ideas on our blog page. This custom beer barrel is an excellent way to promote your branded beer! Premium packaging for the drinks makes the product get noticed! Check out the post!